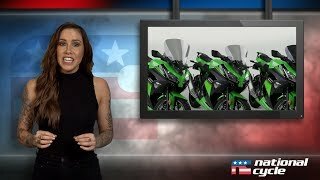 The popular Ninja 300 is used in multiple ways, from commuting to touring. Four VStream® windscreens were developed for the Ninja 300, allowing for different sizes of riders and types of riding. 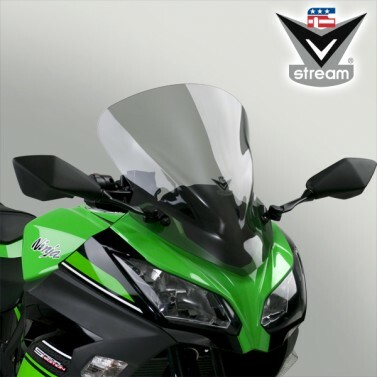 For riders wanting a sporty look or a little more wind on hot days, we offer the smaller N20111 VStream Sport Windscreen. 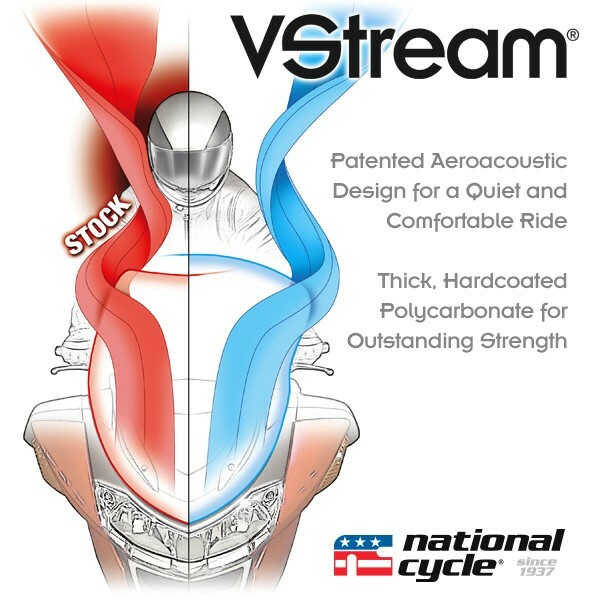 The patented VStream shape is designed to help push the turbulent wind to the sides, reducing the pressure coming over the leading edge of the shield. 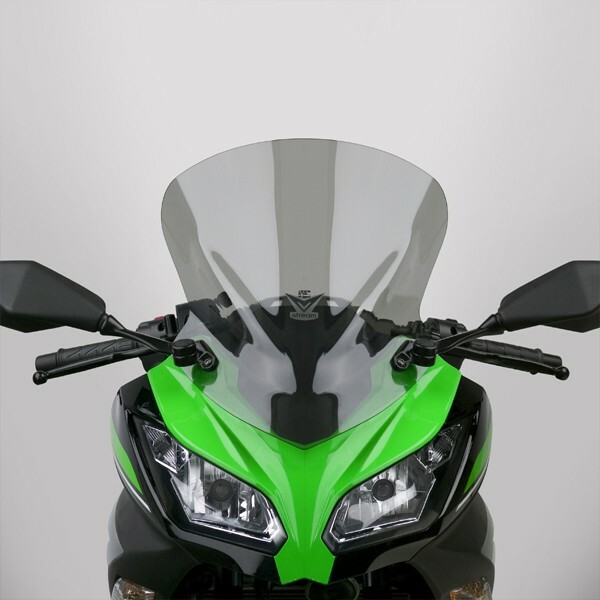 This minimizes helmet buffeting and lessens wind blast to the torso when riding. These windscreens were engineered on the bike and tested to fit perfectly. 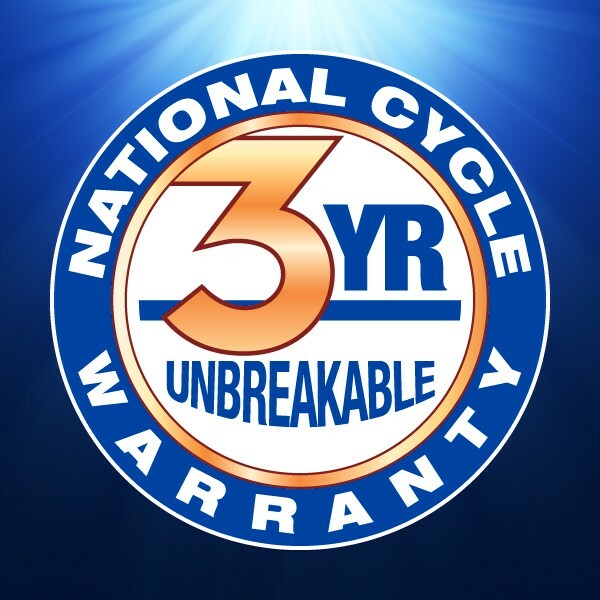 All four windscreens are made from tough, FMR hardcoated polycarbonate to provide unmatched strength and clarity, and all come with National Cycle's 3-Year Warranty against breakage. 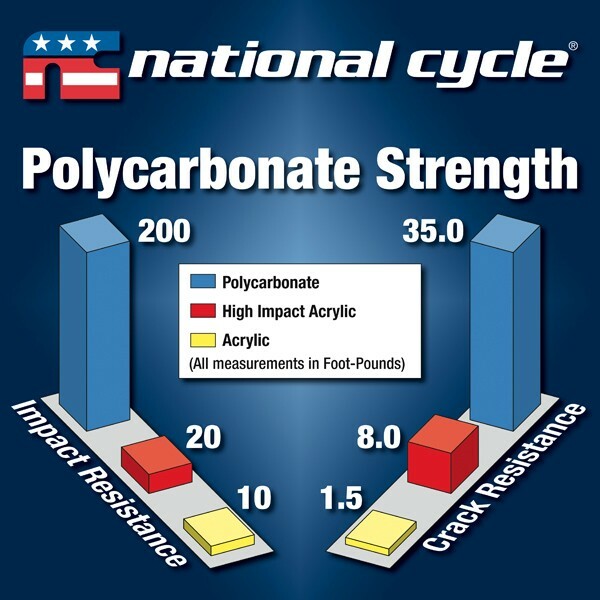 Even if your bike falls over in the parking lot, National Cycle will replace the screen... if it breaks!